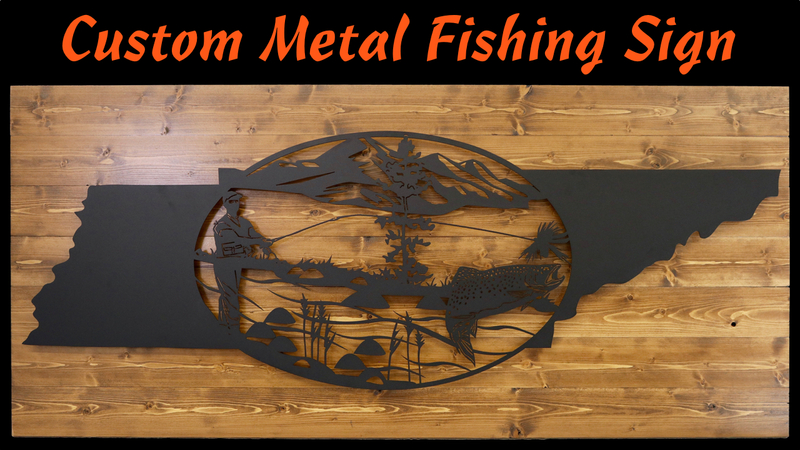 In this video I build a custom metal sign with a fishing scene nested into the state of Tennessee. The sign was cut on a water jet and was powder coated by Hy-Tec Specialty Coatings in Piney Flats, TN. The sign is mounted on a pine backing and the overall dimensions of the sign is 24″ X 54″. Turned out great!